In April I attended a workshop conducted by the “PSD Experience,” in which they brought together a number of mentors and presenters in the style of After Dark. The fact that it was in Norfolk made it irresistible. 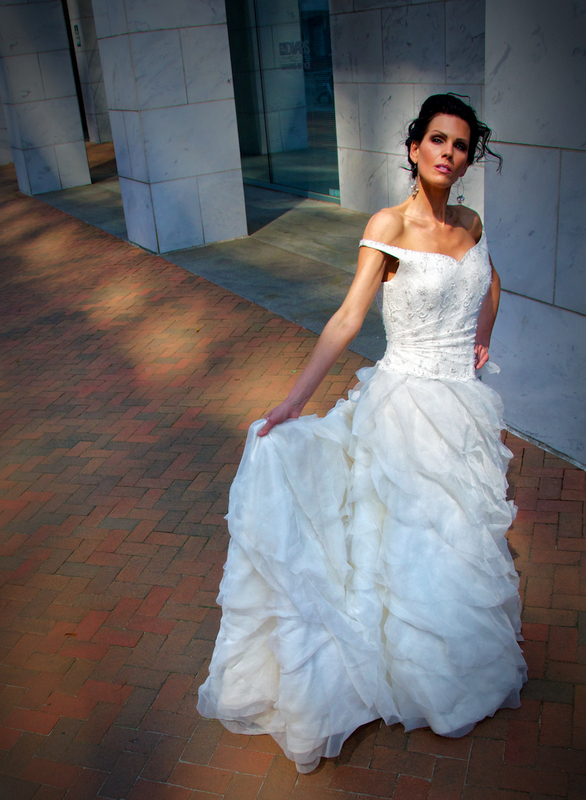 Beckstead brought his model onto the streets of Norfolk of posed her in a way that led to some unconventional bridal poses. A little post processing helps to dramatize as well.